Roll to 100! A Freebie for the 100th-or ANY-Day! 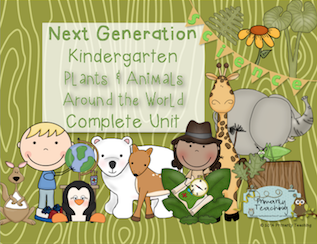 Download for FREE from my TpT Store or my Teachers' Notebook site! For this activity, give each student (or pair of students) 1 die, 2 dice, or more! Roll, add, color in the number of pennies, and make a tally mark. Repeat, using a different color of crayon each time, so groups are easy to see. At the end, count up your tally marks. How many rolls will it take to reach 100? 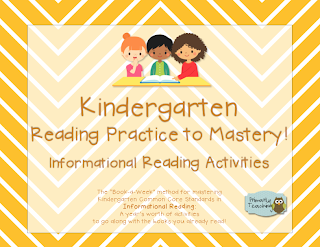 Download today from my TpT Store or my Teachers' Notebook site! I love this unit because you can fill in the blanks with your favorite habitat. 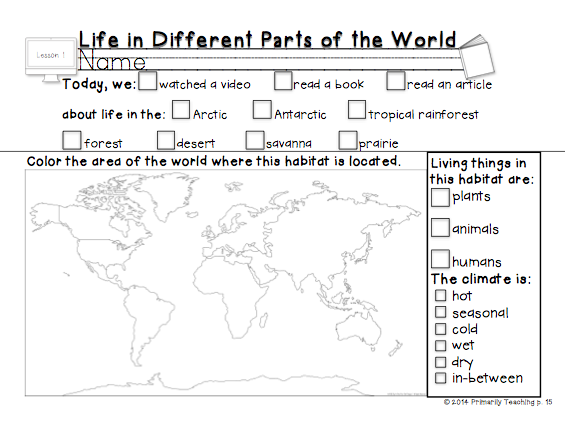 You can stick with one habitat for the entire unit, or you may “continent-hop” to study different biomes. Ideally, you can repeat this unit, focusing on one major biome each time. It also includes ELA and Math Common Core connections! Available in PDF, Smart Notebook and Activinspire versions! 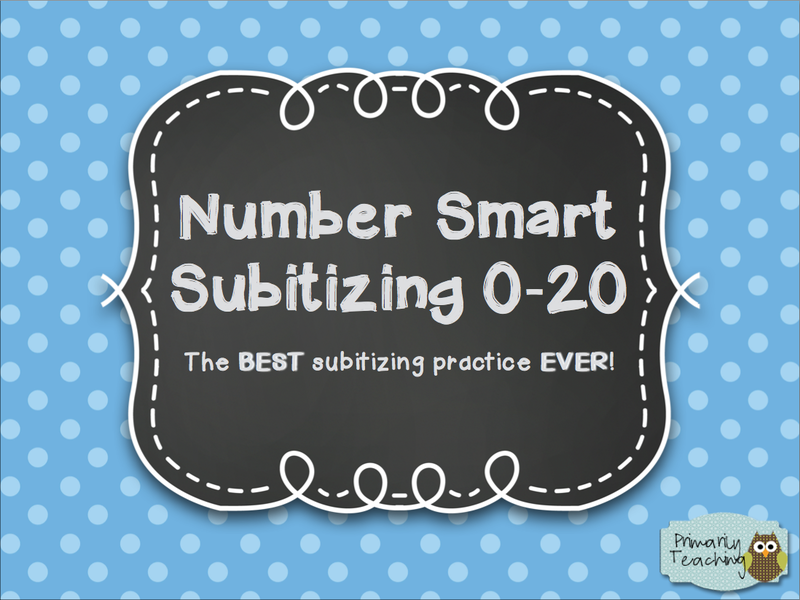 Welcome to the BEST subitizing practice EVER! Subitizing is the immediate recognition of a quantity. 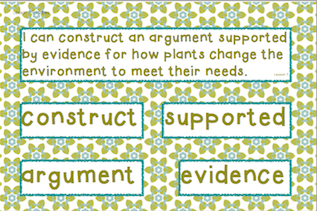 It builds number sense and strengthens knowledge of number facts with meaning, not just memorization. Included are slides with various ten frames, tally marks, fingers, dominoes, and dice. 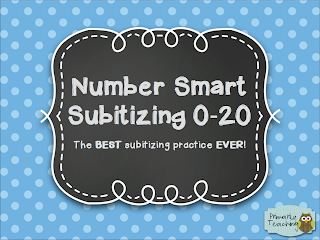 Let your students see the slide as you say the word “subitize” to yourself. Then cover advance to the next “Get Ready!” slide. Ask students who know how many to raise their hands. After a student answers correctly, ask, “How did you know that?” Encourage students to use strategies such as counting on, grouping, and how many are missing. 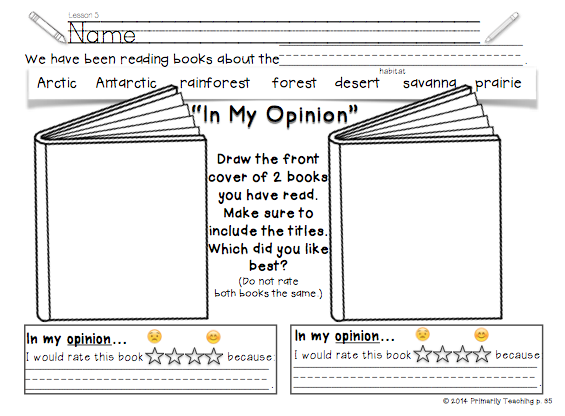 On many slides you can also ask students what addition fact is represented as well as the final quantity. Subitize whenever you have spare seconds! Even if you only have a minute, your students can benefit from these mental math exercises AND mini-number talks (How did you arrive at your answer?). I'm happy, happy, happy to announce the release of my Kindergarten Reading Practice to Mastery! BUNDLE! Inside is everything you need to cover ALL of the Common Core literature and informational reading standards. It's a “Book-a-Week” method for mastering Kindergarten Common Core Standards in Literature and Informational Reading: A year’s worth of activities to go along with the books you already read! Individual Literature and Informational Reading versions can also be purchased separately, but you save $1 by buying the bundle. CLICK HERE to find out how to get a FREE, unbundled unit of your choice!